Jasmin Savoy Brown is the gifted young actress who played Evie in the final season of HBO’s The Leftovers. She has also appeared as Nina on Freeform’s Stitchers and has previous credits in ABC’s Grey’s Anatomy, NBC’s Brooklyn Nine-Nine and NBC’s Grimm. She currently plays Emilia Bassano on the TNT period drama Will. Jasmin took the time from her schedule to talk about Will, Emilia, working in front and behind the camera as well as share some news on upcoming projects. To learn more, read below. What can you tell us about your character on the TNT period drama Will? Is Emilia anything like Jasmin? If so, how are you two similar? How did playing a real life historical figure like Emilia Bassano inspire you? What kind of research did you do for your portrayal of Emilia? How is playing Emilia different from your previous roles as Evie on The Leftovers and Nina on Stitchers? What do you hope viewers take away when watching your performances? That is to say, what impact do you want your acting to have? All I can ever hope is that they believe it and they enjoy it. Is there a dream role you’d like to play one day? Your acting experience has primarily been in drama. Would you ever like to try your hand at comedy? Would you ever like to work behind the camera someday? 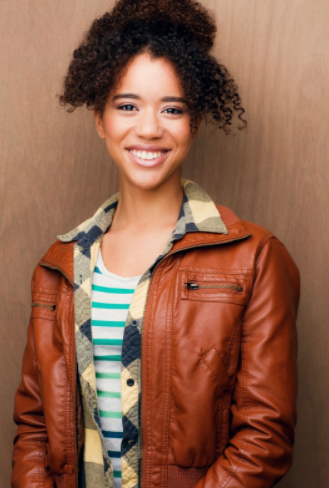 Is there anything you’d like your fans to know about Jasmin Savoy Brown?